Accessible, connected, and computationally powerful, smartphones aren't just for "selfies" anymore. They have emerged as powerful evaluation tools capable of diagnosing medical conditions in point-of-care settings. Smartphones also are a viable solution for health care in the developing world because they allow untrained users to collect and transmit data to medical professionals. Researchers from Florida Atlantic University's College of Engineering and Computer Science have developed a novel cell phone imaging algorithm that enables analysis of assays typically evaluated via spectroscopy, a highly sophisticated and powerful device used in scientific research. "Smartphone cameras are optimized for image appearance rather than for quantitative image-based measurements, and they can't be bypassed or reversed easily. 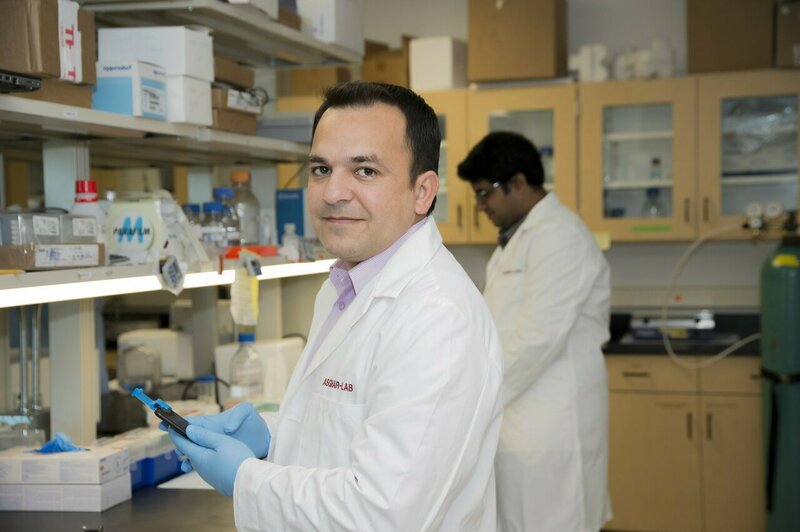 Furthermore, most lab-based biological and biochemical assays still lack a robust and repeatable cell phone analogue," said Waseem Asghar, Ph.D., lead author and an assistant professor in FAU's Department of Computer and Electrical Engineering and Computer Science. 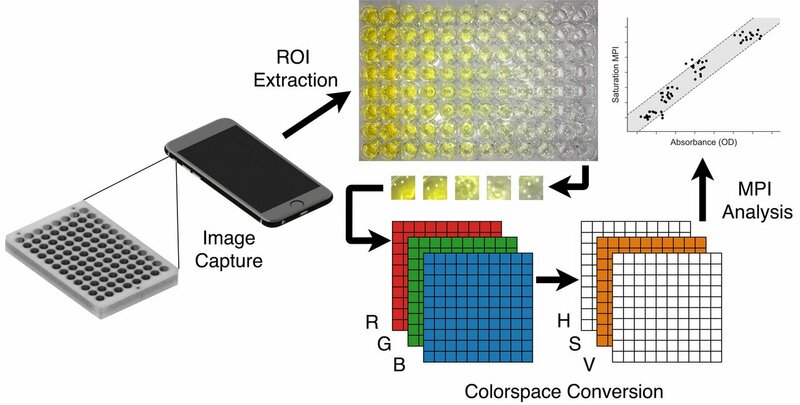 "We have been able to develop a cell phone-based image preprocessing method that produces a mean pixel intensity with smaller variances, lower limits-of-detection, and a higher dynamic range than existing methods." For the study, Asghar and co-authors Benjamin Coleman and Chad Coarsey, graduate students in the Asghar Laboratory in FAU's College of Engineering and Computer Science, performed image capture using three smartphones: the Android Moto G with a 5 megapixel (MP) camera; the iPhone 6 with a 12 MP camera, and the Samsung Galaxy Edge 7 with a 12 MP camera. "The research taking place in the Asghar Laboratory at Florida Atlantic University has important implications for diagnostic medicine and the delivery of health care in developed as well as developing countries," said Stella Batalama, Ph.D., dean of FAU's College of Engineering and Computer Science. "Professor Asghar and his team are driven to continue to develop cutting-edge technology that has the ability to remotely detect and diagnose diseases rapidly, accurately and inexpensively. This latest algorithm they have developed is one of the many advances they are making in this field."